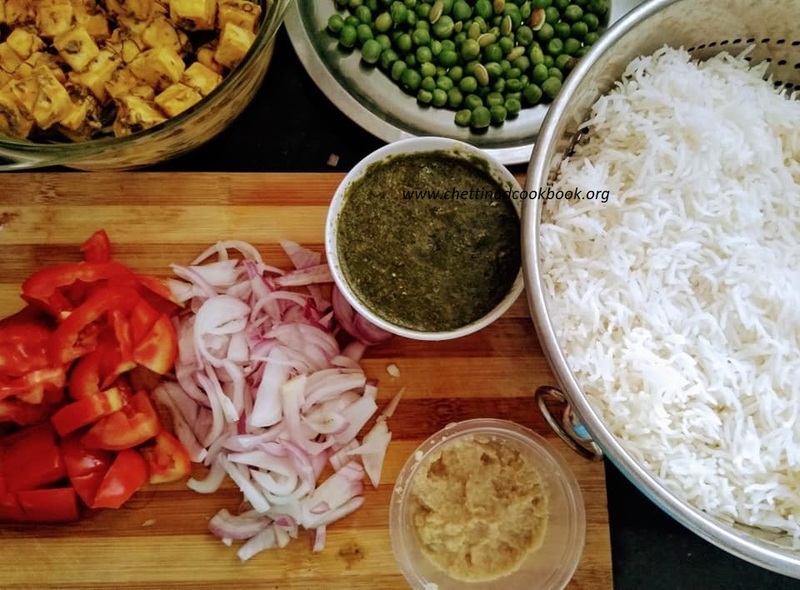 We have tasted the yummy Paneer Peas curry for Roti or Naan, now we can experience the unique taste of Paneer Peas Pulao. 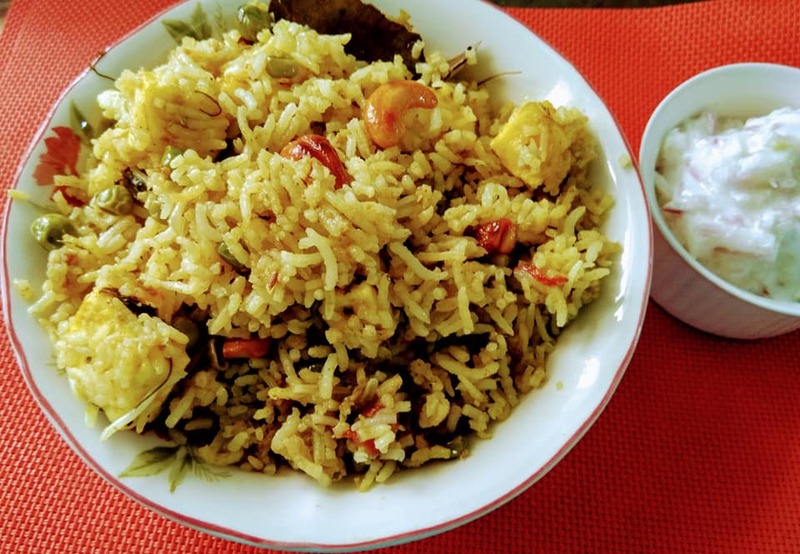 Aromatic flavourful dum pulao. 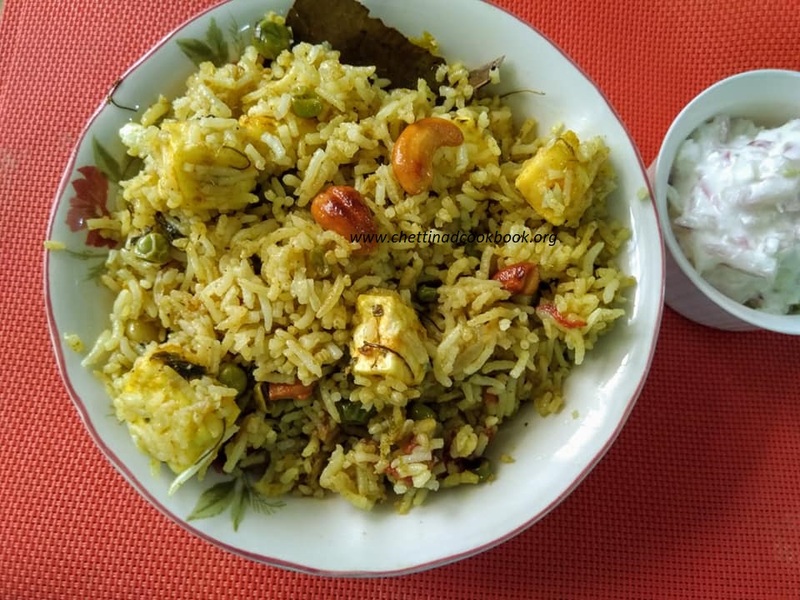 A creamy, mild spiced meal which is the center of attraction as a party dish to enjoy. 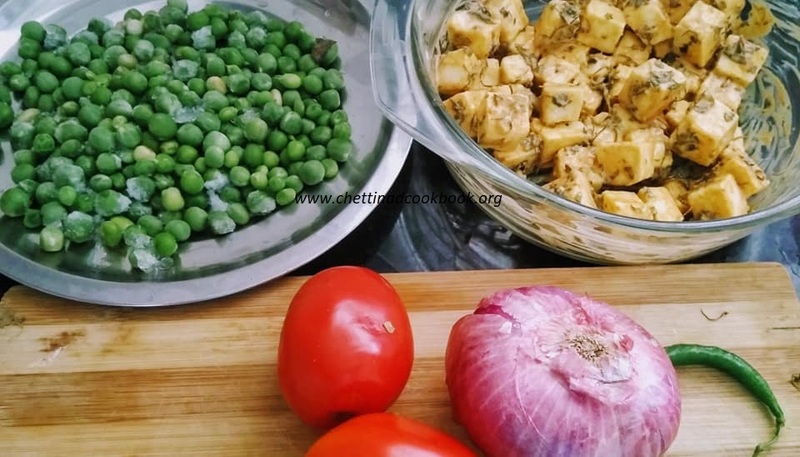 Juicy vegetables, aromatic fresh ground masala, seasoned with Indian spices with herbs, creamy Paneer and yogurt, colorful peas, chopped tomatoes. 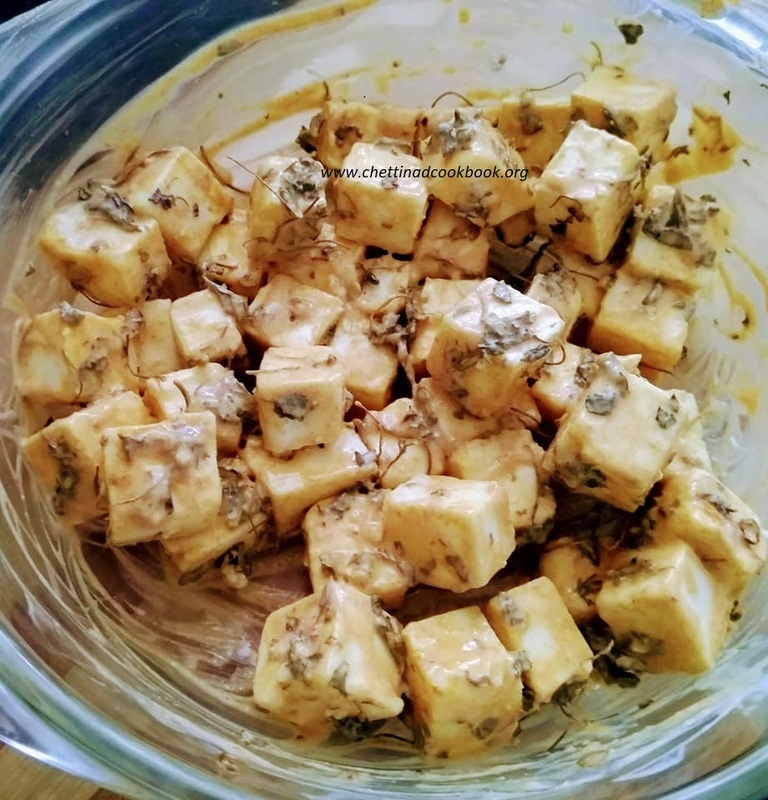 Dum cooking to retain its Aroma and flavor, a mixture of various ingredients put together to form an excellent meal. 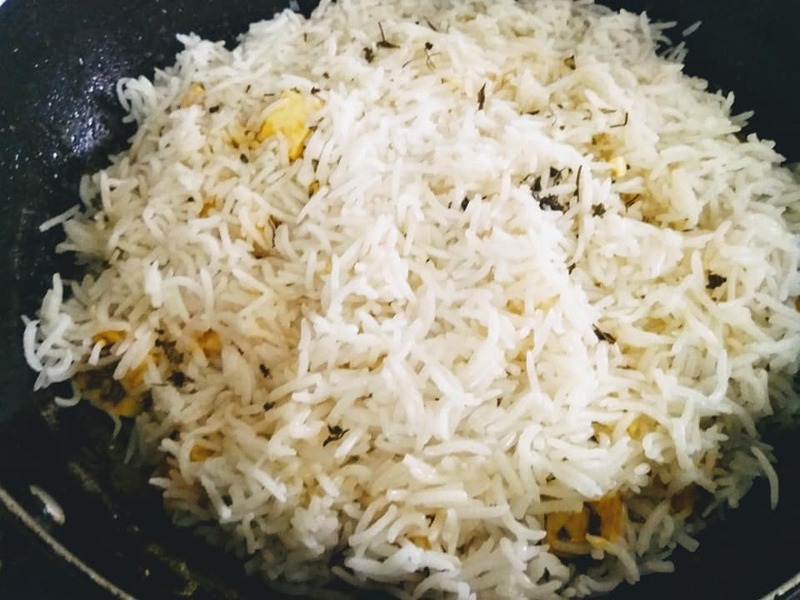 Wash and soak rice for 15 to 20 minutes. Boil 2 liters of water add soaked rice allow it to boil for 10 minutes in medium flame. It should be partially cooked or half cooked. We will again cook with the sauteed masala as layered in dum cooking. 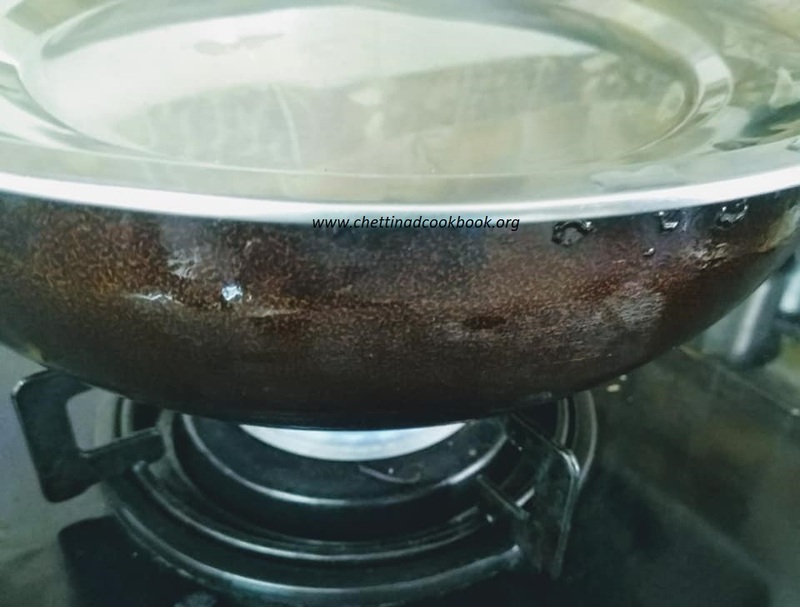 Heat thick bottom pan add a tablespoon of oil and a tablespoon of ghee. Add bay leaves, cinnamon, cloves, and star anise. Now add chopped onion to fry golden brown. 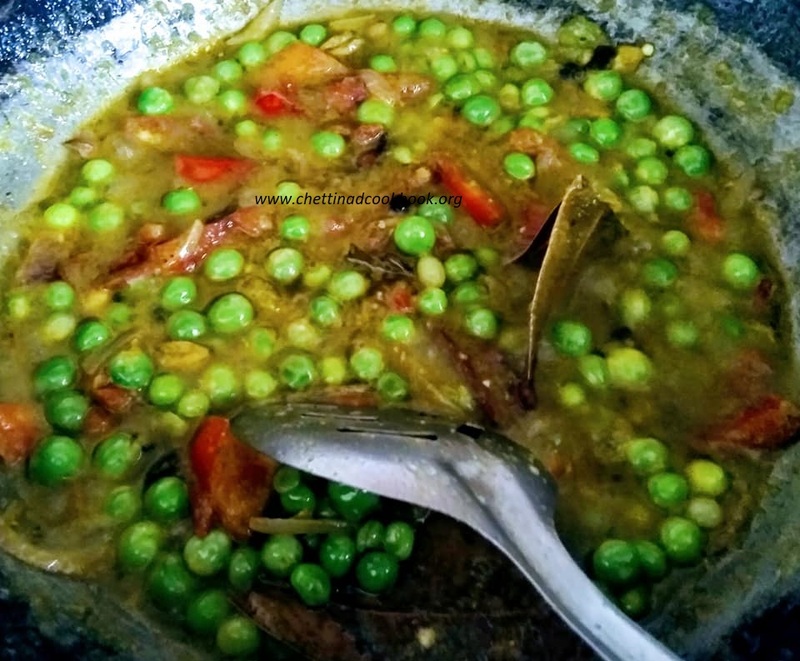 Add Tomatoes and green peas, Finally, then coarse ground masala saute till the raw smell vanishes. Add one cup of water and allow it to boil for a minute. 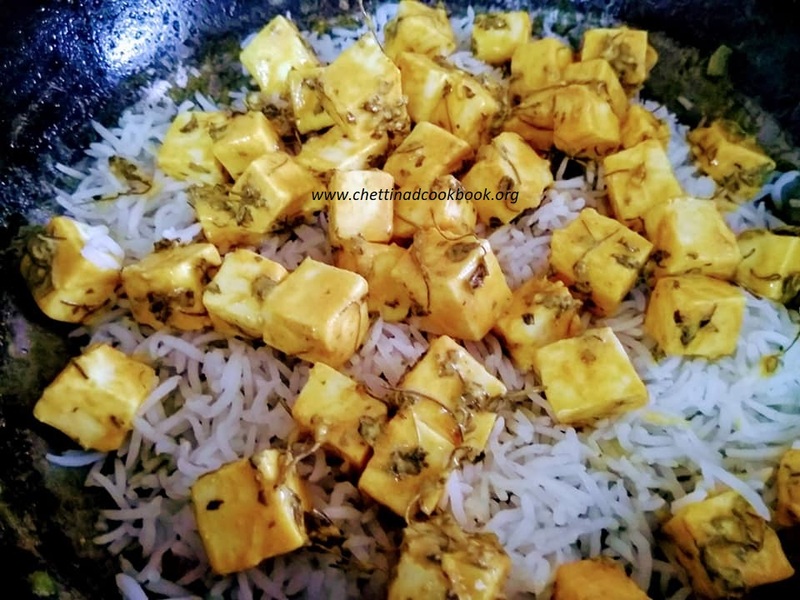 Place partially cooked rice 1/4th on the sauteed masala, then marinated Paneer on top add fresh cream little if preferred. Repeat the same as a second layer and seal the lid with the batter surfaced on top of the pan to retain the steam and cook well. (Dum cooking) in low flame for 20 minutes. After 20 minutes remove the lid carefully and mix it gently, such that the masala mixes well garnish with roasted cashews and chopped herbs. Serve hot with raitha.